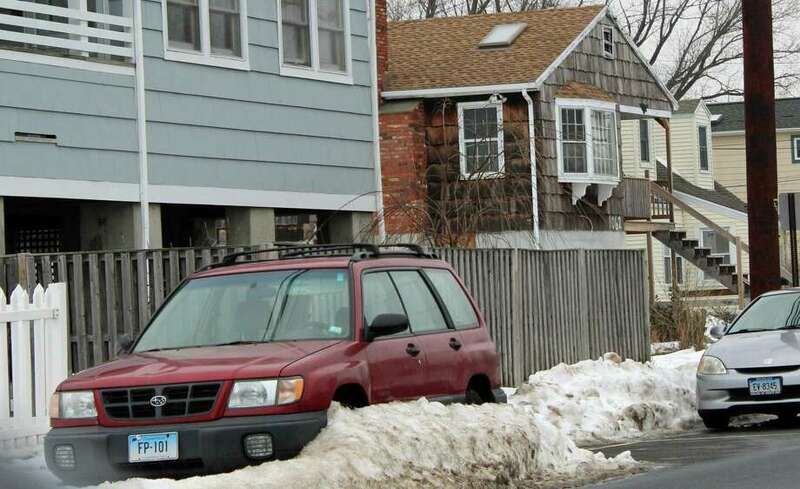 FAIRFIELD — The Police Commission voted Wednesday to allow the police chief to restrict on-street parking on five streets in the beach area during snow storms. The request for the parking ban originated with the Fairfield Beach Residents Association (FBRA) and was submitted to the commission by Representative Town Meeting member Dru Georgiadis. The commission vote was 6-1, with Commissioner Walter Flynn voting in opposition. Penfield Road resident and FBRA President Charles Abercrombie told the commission it is a matter of public safety and would allow those streets, which are designated evacuation routes from the beach area, to be properly plowed during a snowstorm. Those streets are Reef, Penfield, Beach, Rowland and Fairfield Beach roads. On street parking is a particular problem on Reef Road, south of Veterans Park, where parking is allowed on both sides of the street. Many of those parking on the street are student renters, with more cars than off-street parking on their rental property. Commission members were a bit concerned, however, that the language proposed by the neighborhood group was not concise enough. Commissioner Jack Stone said the wording indicated that the parking ban would start whenever there is an accumulation of snow. That, he said, could be at 2 a.m. in the morning. Abercrombie said the idea is to provide notification via the town’s Code Red alert system to let residents know when a ban would be going into effect. The proposal also did not indicate just who would have the power to initiate the parking ban, and the proposal was amended to state that the decision to call for a ban would be the authority of the police chief or their designee. Commissioner James Millington said that with the transient nature of the student renters — Fairfield University only allows seniors to live off campus — there’s no guarantee that they would sign up for Code Red. Though cars found parked on the evacuation routes can be ticketed and/or towed if a ban is instituted, Lyddy said the goal is to not have to tow any cars. Off-street parking would be available at Veterans Park and Penfield Beach, Lyddy said. Reef Road is one that has a lot of on-street parking by student renters, especially south of Veterans Park. Parking is allowed on both sides of the street. Several years ago, in response to complaints from year-round residents, overnight parking at Veterans Park was banned. “We believe the Police Commission has the authority to designate parking restrictions,” Lyddy said. He added that should street parking be banned, the department would be able to suspend the parking restriction at Veterans Park. “As a representative for District 9. I supported the petition or survey because this kind of change in on-street parking during storms will only be successful if the support of the residents is behind the change,” Georgiadis said. Georgiadis said most of the houses have driveways and garages, large enough to fit several cars. The issue for the students, she said, is their differing schedules mean they often park on the street so they’re not blocked in by other cars. “In a snowstorm, for a day or so, I think they could easily park on their property,” she said.